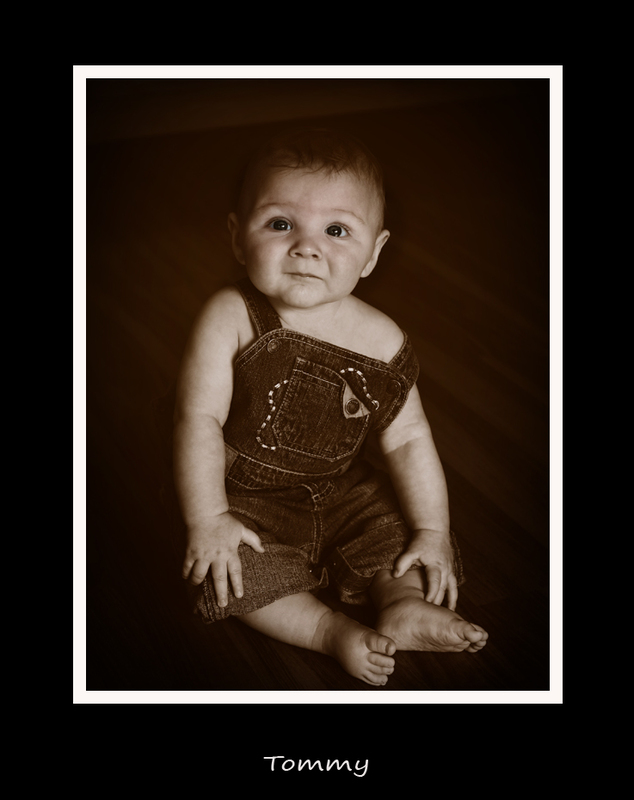 Today I had the pleasure of photographing Tommy.He is now 8 months old and was just the cutest little thing.I got this shot while we were trying to get him to sit for the first time.He was great fun thanks Merideth I had a great day. ~ by Mel on May 29, 2008. Wow Melissa, that came up fantastic. We all like the sepia. Meredith loves it.